JesusLovesMe, where do I begin? One tshirt, one founder, a bigger vision! JesusLovesMe was birthed in 2007 when I decided to make myself a tshirt professing my belief, ‘JesusLovesMe’. After a few times wearing the tshirt it was quite apparent that this was a statement that many people wanted to scream and shout!!! This is where JesusLovesMe started!! I really didn’t know what to expect with JesusLovesMe, but the response has been great. JesusLovesMe Classic tee (the multicoloured one that you all love!) made its mark. Orders were coming in left, right and centre and I spent lectures replying order forms, evenings and early mornings packing and shipping shirts and then spent weekends at fashion shows, music concerts and charity functions selling tees. The success of the shirt design allowed it later to be not only just my vision, I formed a team, the JesusLovesMe team. The team now had the chance to ‘dream big dreams’, dreams of opening an online store and much more. As time went on we began to realise that the dream, despite how simple it seemed, had many vital parts and we realised that it will take time to piece together the entire puzzle. After a year or so of planning, whilst juggling University, College, Work and Church, things started to fall in place. After much brainstorming, we selected “JesusLovesMe” as our overall web branding (more on that later). With the help of friends and family we set up our first MySpace store, and now our JesusLovesMe World store and our blog. We have sold over a few thousand tees and hoodies and there is definitely no going back now!!! We believe that we are commissioned to go out into the world to spread the Good News- The Good news being the fact that JesusLovesMe and that he died for my sins! JesusLovesMe is here this because there is a world full of people to proclaim our statement to. 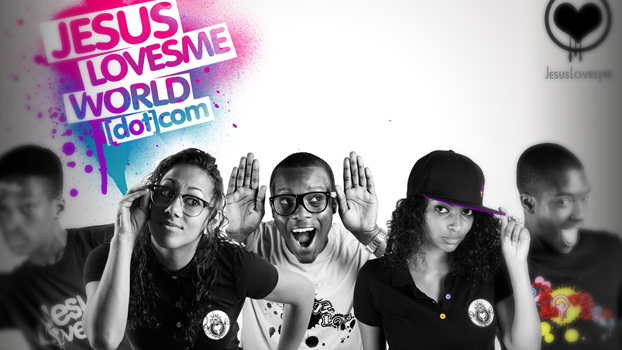 Our goal is to ensure that we keep JesusLovesMe trendy, individual and creative. With that goal in mind, the rest of the story will have to write itself.